TeamSnap Assignments launched this fall to the cheers of over-worked coaches and team managers. Finally, an easy way to manage your volunteer tasks—or assign someone “manager” duties and let them do it—right from within the TeamSnap app. So how are people using TeamSnap Assignments? From the “duh” to the “I never thought of that,” here are the Top 5 Ways to Use Assignments. Let’s start with the “duh.” TeamSnap Assignments replaces Refreshments, so clearly you can use it to track who’s bringing orange peels and Sunny D (Wow, your mom’s cool!). But you can also use Assignments to track all those little extra things that come up during a game — hair ties, Bandaids, extra gear, a Sharpie (Seriously. You always need a Sharpie). Simply enter an assignment for anything at all and either allow volunteers to sign up or “volunteer” them yourself. Or maybe they’re just the things you don’t have time to do or need some help with. Either way, assigning tasks like field prep, clean up and concession duty is perfect for TeamSnap Assignments. This is pretty self explanatory: You have to set your lineup or the positions for your coming game. In ye olden times (like August), you’d probably grab a pen and paper, write it out and clip it on your clipboard, then yell out what you wanted before the game. 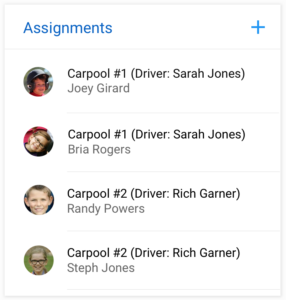 With Assignments, you can simply put the positions or batting order in the app and then assign the players you want in each spot or order. You can even drag and drop players to create the order you want by using the web app. And the best part? When they forget 30 seconds after you tell them, they can just check the app instead of bugging you! Pre-season meeting? Post-season party? State champs celebration? Goalie’s pet iguana’s funeral? No matter what the reason for the get-together, Assignments can help make it easier to plan. Make it easy on yourself and pick a parent to be in charge of the party, then make them a team manager in TeamSnap. This way, they have the ability to create Assignments and choose volunteers to carry them out. Sally’s mom can bring potato salad. Jimmy’s dad is in charge of decorations. Fran’s grandmother can book the ventriloquist. Good bye group text messages! At least when it comes to your team. Extended family conversations? You’re still on your own. Your team could handle this one a number of ways. 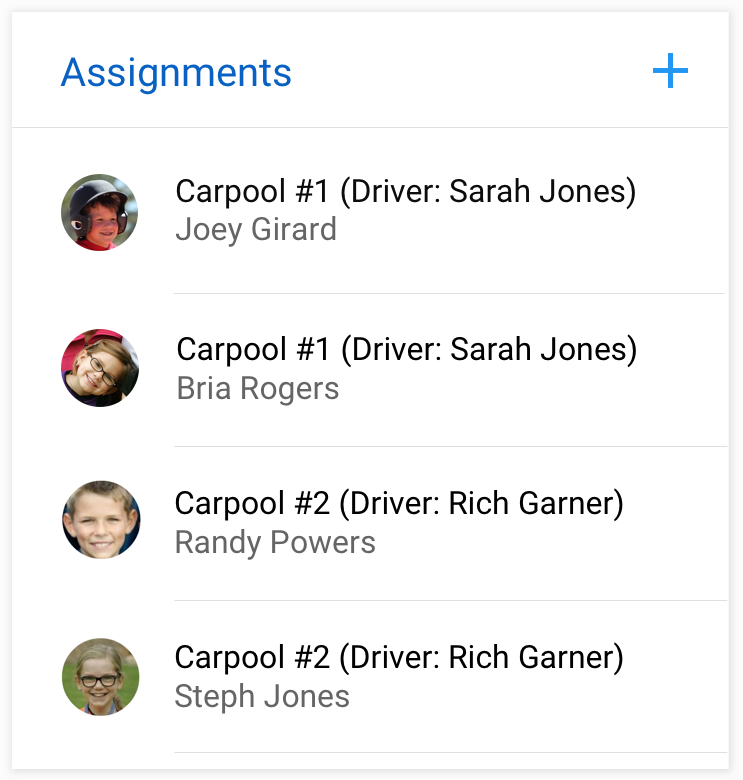 You (or even better, your team parent) could assign carpool volunteers by actually making their name the title of an Assignment, and then assigning each player to their respective carpool driver. Or you could simply have a person or two in charge of actually coordinating all the carpool fun times and simply assign “Carpool” to them. Either way, it’s out of your hands! Assign roles to the players, decide what parent will procure the ballet slippers for your hockey team, sell tickets at rival high schools. Yes, it’s that time-honored tradition of your team’s holiday performance of “The Nutcracker.” No? That’s not something teams do? Well, if it were, you could use TeamSnap Assignments to organize it, too. Stephanie Gonzalez is the director of marketing communications for TeamSnap. When she’s not manning the marketing department’s helm, you can find Stephanie dabbling in animal hoarding or working on her 95-year-old craftsman home in Memphis, Tenn.